Golf is a self indulgence if it isn’t used to for active self improvement. Hence, golfism. My time away from non-Golf Hut golf has given me time to ponder about many important issues like the loneliness of unmarried women. 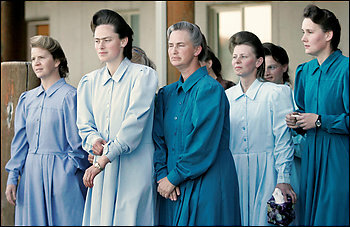 Polygamy has ever been on my mind as a reasonable strategy for getting through tough economic times. There are so many young single working women who face a life of perpetual economic struggle without finding a partner. I feel poorly for them. I want to help and offer my support and advice. To turn their lives around would be great service to this nation. It has always been my aspiration to be a life coach to 20-30 year old women in need of a man. My house has enough space for several of these gals. My wife is always complaining about needing help around the house -with a second or third wife, or fourth!, there would be help all the time! Child care could be performed in shifts. Time could be taken off for work or school without headaches. Cooking can be done by the person in the mood to cook rather than one person who always has to cook. We could grow our own food and live off-grid as a large extended family. There is enough of me that I want to give it away for the good of the world. I could grow a crazy long beard and still be revered. It would be a return to a classical, Old Testament pattern of life. I could have seven sons, and favor one to motivate the other six. It would be a community of many hands working and building a better future for themselves. How could that be wrong? How could something that could feel so good be so bad? Stress disappears when you can delegate, I would tell her. The government could give me a tax break for this. Spread the wealth, and me, around! I’ll get back to you after I ask my wife what she thinks. It has to be better than her response to my suggestion about outsourcing some of her chores. This time, I am thinking about her and everyone who would benefit from my proposed sacrifice. And not so much me -and isn’t that what the holidays are all about. Sacrifice. PS -not being conspiracy oriented, don’t you think it was odd that Texas decided to go after the FLDS at the same time Mitt Romney was struggling to make his run?